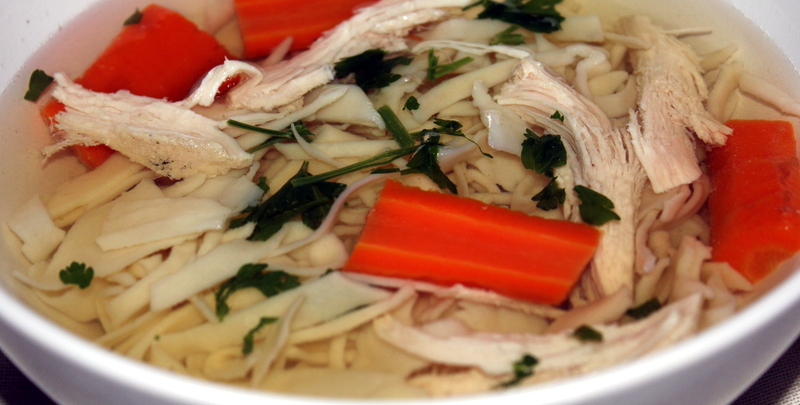 Chicken soup is a great options for those cold and rainy days ahead of us. It also helps when feeling sick or under the weather. 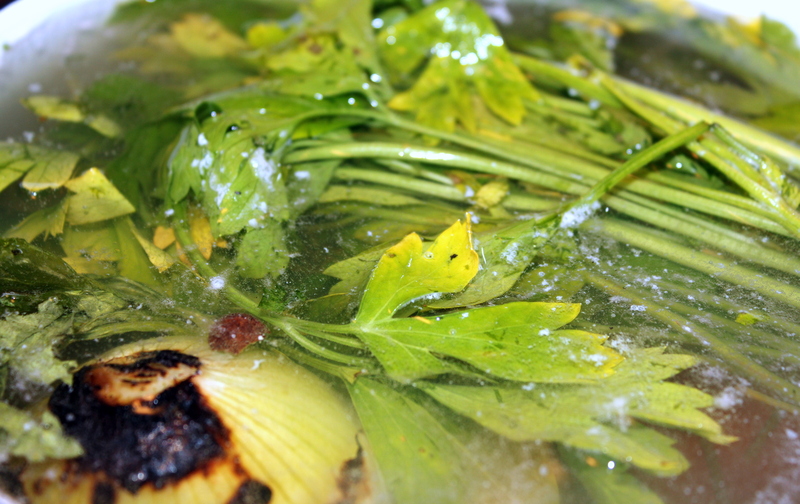 In a large pot, add water and chicken breast, cook on low-medium heat. Meanwhile, peel the onion, then roast on the flames of gas. 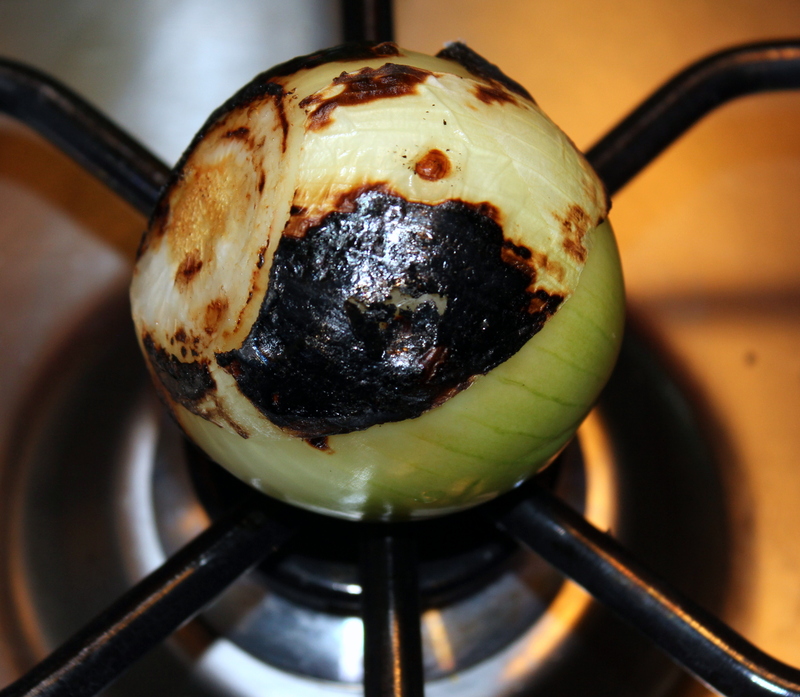 The roasted onion and rest of ingredients add into the pot. Then simmer around 1.5 hour. Taste, adjust seasonings. 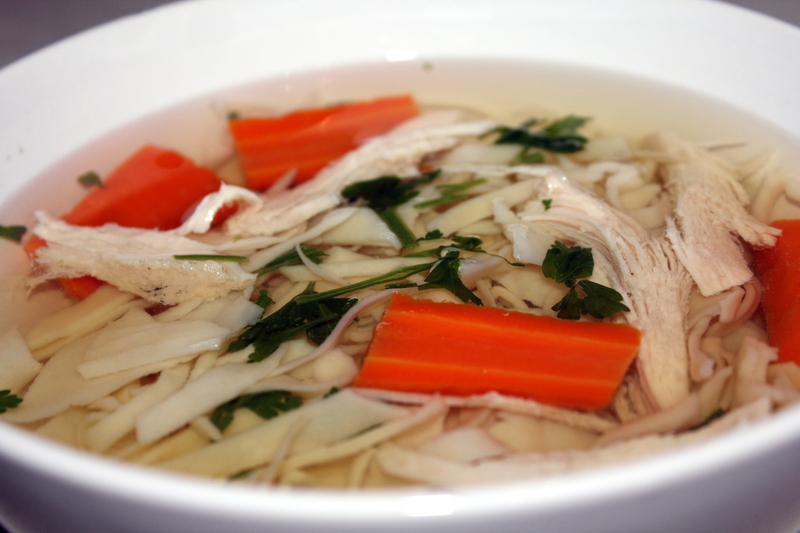 Strain the chicken broth. 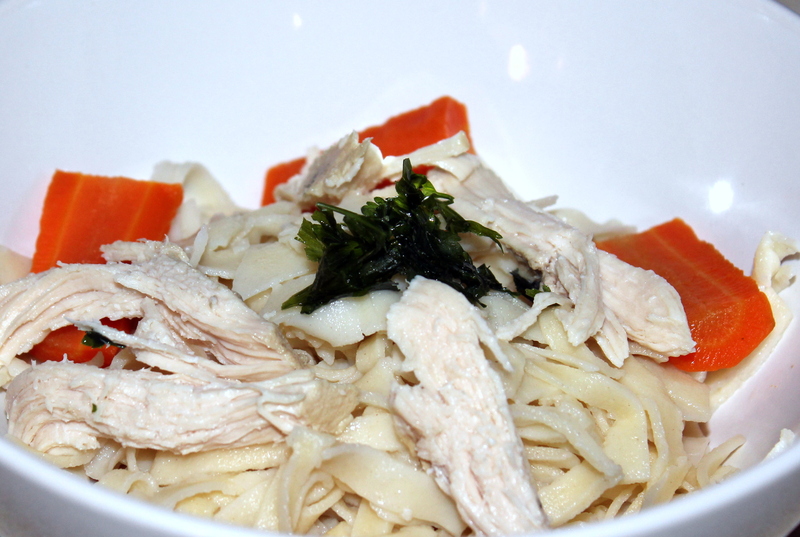 Serve with homemade egg noodles , cooked carrots and chicken breast. Garnish with chopped parsly.